Playing guitar is not known for making your hair fall out. I took up the guitar at age nine taking classical guitar lessons before moving on to bass, and then electric guitar in my teens. 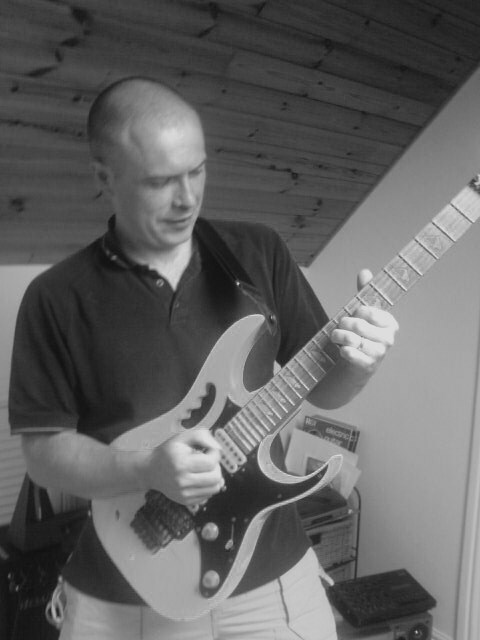 I studied guitar at secondary school and then went on to study classical music and electric guitar at Huddersfield School of Music and also developed a keen interest in music theory whilst studying music. My first professional gig was at 14 years old and I have worked as a guitarist all across europe playing a wide variety of styles. I am an experienced session guitarist and have played many gigs ranging from local pub gigs to national festivals broadcasting on live radio. My name is Antonio Camarero. I am currently investigating for the Royal College of Music in London. The purpose of this research is to explore the relationship between employment situation, job satisfaction levels and the basic psychological needs satisfaction at work of musical instruments and singing teachers. I have created a survey that comes from reliable and already proven surveys on mental health: the Copenhagen Burnout Inventory for educators and the Basic Psychological Needs at Work. It will take just 5-8 minutes to fill out. This survey is to be circulated among musical instruments and singing teachers that are currently based and working in the UK for different institutions such as music services, conservatoires, music schools, peripatetic tuition or private tuition. The survey aims to gain sufficient knowledge about teachers’ job situation and investigate if it is linked to the existence (if there is any) of the burnout syndrome among this population. The reason why I am researching among this population is because instrumental teachers, although essential for the musical development of the students, have been barely studied. Studying the well-being of this population is key to find ways that help to enhance the students’ performance and the learning process. All the answers that the teachers provide will be kept in the strictest confidentiality. The data they provide will be anonymous (separated from their names) and confidential (not disclosed to anyone else). I may publish reports based on my findings, but the teachers will not be identifiable from the data included. If you could fill it yourself (in case you meet the requirements) and/or share it with your members of staff via social networks and/or email, that would be really much appreciated.